Your dedicated server is typically housed in a data center that provides an optimal environment to prevent heat, humidity and water damage. Many factors affect server performance, and environmental monitoring is essential to prevent fires, control heat and humidity and still maintain a degree of energy efficiency. In addition to the environmental controls, a typical server room will have redundant electric feeds, uninterruptible power supplies (UPS) and backup generators to produce electricity in case of an outage. Today, administrators seek ways to protect data and cut costs by choosing CPUs that get higher performance for each watt of energy used. 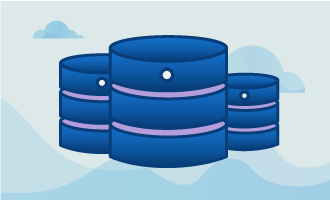 Multiple interfaces, clustering and easy integration with cloud storage offer cost-value benefits that are easy to implement during the design and planning phase of building data centers. High-class motherboards ensure scalability, and administrators can control systems from remote management modules. However, protecting your dedicated server adequately always requires focusing attention on data center environments. Temperatures can vary widely in different areas of the data center, and the backs of dedicated servers are typically hot aisles while the fronts of racks get cooled to prevent malfunctions, overheating and substandard performance. Early data centers concentrated on creating very cold environments, but scientific research has determined that higher temperatures are safe, so companies tend to concentrate on reducing energy expenses. 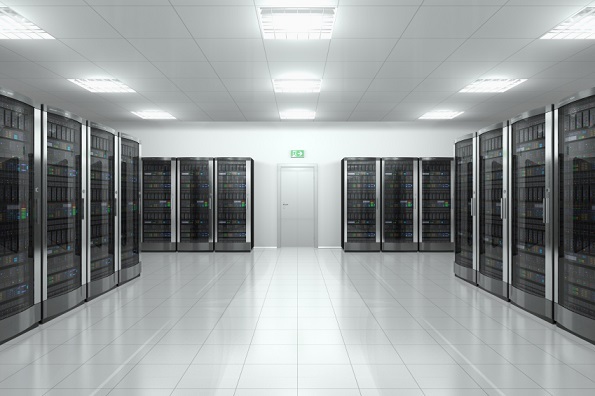 Elements of the modern data center design include implementing redundant power supplies to prevent downtime during power failures, contracting a reliable power supply, installing computer room air conditioning or CRAC units, ensuring physical and remote security and making room for servers, switches and routers. By reducing its Power Usage Effectiveness (PUE), data centers can lower their power usage while cutting in their expenses. Measuring and controlling ambient temperature is critical for optimal dedicated server performance. Layout and configuration details can help ameliorate some heat, but server room air conditioning is crucial to prevent overheating, losses of data and dedicated server malfunctions. CRAC units keep equipment, servers and routers running at recommended temperatures. -Measuring temperatures in multiple locations and heights can help to spot potential problems. High-density data centers can generate hot spots, and blade servers produce higher concentrations of heat. -CRAC units typically draw heated air from the top of hot aisles and direct the air through compressors to cool it and return it through ventilated floors. -Optimal temperatures range from 68–75-degrees Fahrenheit. Temperatures over 85 degrees damage equipment. -Moisture in the air can affect dedicated server performance, and relative humidity should be between 45 and 55 percent for optimal reliability and performance. -Green systems can use colder outdoor temperatures to cool servers and channel thermal output from CPUs to heat offices. This is known as free cooling. Choosing a reliable and cost-competitive electricity provider depends on power needs, available equipment and providers and gating factors. Arranging electric service should be an important part of the planning process. Large data centers can use as much electricity as small towns, and transmission upgrades might become necessary for data center infrastructure or utility transmission. Developers should consider projected intervals for essential electrical upgrades because costs might prove prohibitive. Negotiations can help to defray utility costs and regulatory requirements, or data centers can often arrange economic incentives and tax credits. Oversized and inefficient electricity-distributions systems can cause poor equipment performance and higher operating expenses. Uninterrupted power systems (UPS) supply emergency power when the main supply goes down. Backup battery power prevents data loss and downtime until power is restored or alternative power from generators is brought online. UPS backups are essential to run servers during the interim to prevent catastrophic data loss or costly website downtime. These units can also protect equipment from power surges and spikes. Despite remote managing capabilities and high-tech security protections, data centers need on-site monitoring 24/7 to prevent physical theft of data and equipment, troubleshoot mechanical problems and respond quickly to natural and human-engineered disasters. Internal security protocols might include secret server locations, building camouflage, concrete barriers, motion detectors and other strategies, but nothing replaces the value of on-site human monitoring. Connecting to the Internet, managing your dedicated server and ensuring an optimal dedicated server environment help to prevent expensive repairs, losses of income and online reputation due to downtime, data losses and security risks. 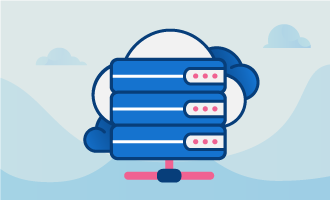 Regardless of storage strategy or VM technology, you need to protect your data centers by designing, hiring or outsourcing on-site server maintenance programs to ensure that your customers and staff can access your website, blog, storage or affiliate marketing site. Look for a provider that offers a fully redundant network with a 100% Network Uptime.